Manhattan District Attorney Cyrus R. Vance, Jr., today announced the conviction of STEFAN HOYTE, 26, for crashing a car into a pillar on the Williamsburg Bridge—killing 21-year-old Amanda Miner, one of the car’s passengers—while under the influence of alcohol. 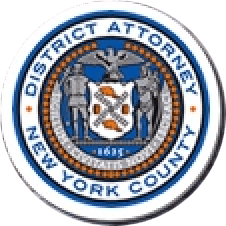 The defendant pleaded guilty in New York State Supreme Court to the top charge in the indictment against him, Manslaughter in the Second Degree, as well as Vehicular Mansalughter in the Second Degree. He is expected to be sentenced on January 24, 2018. As admitted in the defendant’s guilty plea, on March 16, 2017, at approximately 3:12 a.m., HOYTE, an off-duty NYPD traffic agent, was driving the victim and her boyfriend home from a Manhattan bar, heading eastbound on the Williamsburg Bridge. The defendant, who was driving a 2013 Infiniti G37 well over the speed limit, lost control of the vehicle and struck a pillar that divided the inner and outer roadway of the bridge. The force of the impact severed the vehicle—and the victim, who was seated in the rear passenger seat—in half. A black box recovered from the vehicle revealed that HOYTE had been driving at a speed of 111 miles per hour in the seconds before the crash. Assistant District Attorney Thandiwe Gray handled the prosecution of the case under the supervision of Assistant District Attorney Maureen O’Connor, Deputy Chief of the Special Litigation Bureau, and Executive Assistant District Attorney John Irwin, Chief of the Trial Division. Assistant District Attorneys Jill Hoexter, Chief of the Vehicular Crimes Unit, and Christina Ante, Senior Trial Counsel for the Special Litigation Bureau, also assisted with the prosecution of this case. District Attorney Vance thanked the NYPD for assisting with the investigation, particularly Officers Matthew Mauro and Sean Keene of the 7th Precinct and Detective Michael Sharpe of the Highway District.